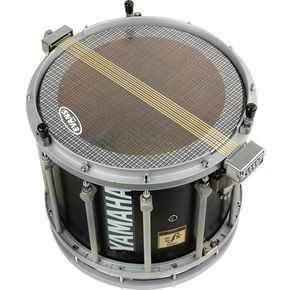 Drum Corps and marching bands have long chosen to use Kevlar bottom heads due to their durability despite a preference for a more open and sensitive sound. Traditional polyester bottom heads, despite their positive sound characteristics, stretch out too quickly and need replacement frequently. The Hybrid snare side offers the best of both worlds. 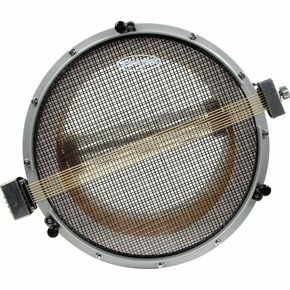 By imbedding high tensile fibers in an open weave pattern between two ultra-thin layers of clear film, the Hybrid marching snare side head produces the sound and sensitivity of a polyester bottom with a resistance to stretch that is closer to Kevlar.